THE SCENE: Beast cries out in agony as his body undergoes yet another physical mutation. WHY IT’S AWESOME: Lately, in making selections for “Panels of Awesomeness,” I’ve tried to think back on specific panels, pages, and images that have stuck with me. Things that, for whatever reason, I still remember after long periods. Great art does that, after all. 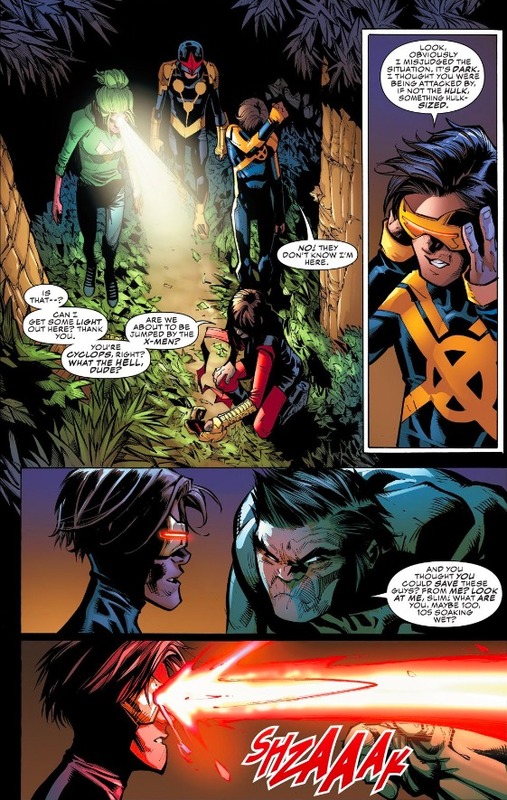 All-New X-Men #1 is more than five years old. 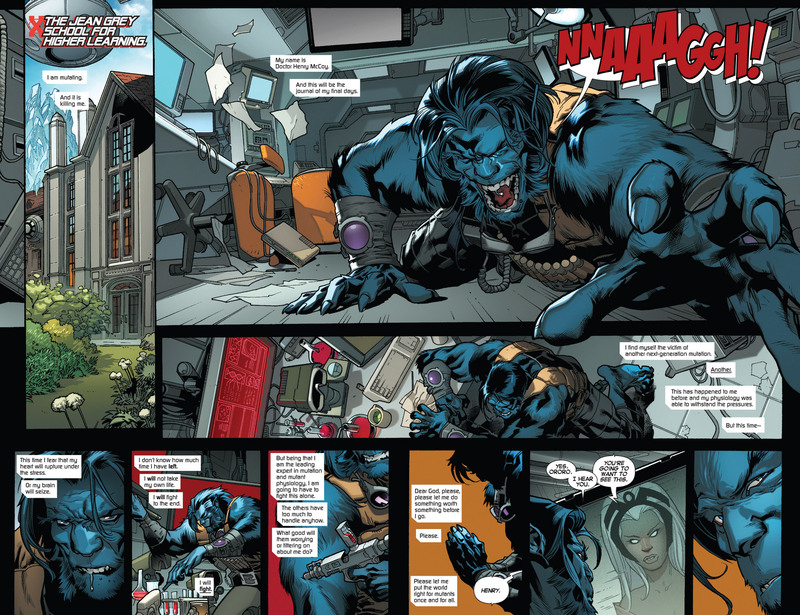 And yet, this image of Beast breaking the fourth wall and reaching out at the reader is somehow burned into my cerebral cortex. It seems like a pretty simple trick, doesn’t it?. You just draw the hand going over the panel gutter. And yet it creates the most memorable moment in the issue. Not that I should be the one to say whether a piece of art is “simple” or not. I’ve tried my hand at sketching before. But I’ve never been good at it. God only knows what I’d turn in if tasked with something like this. 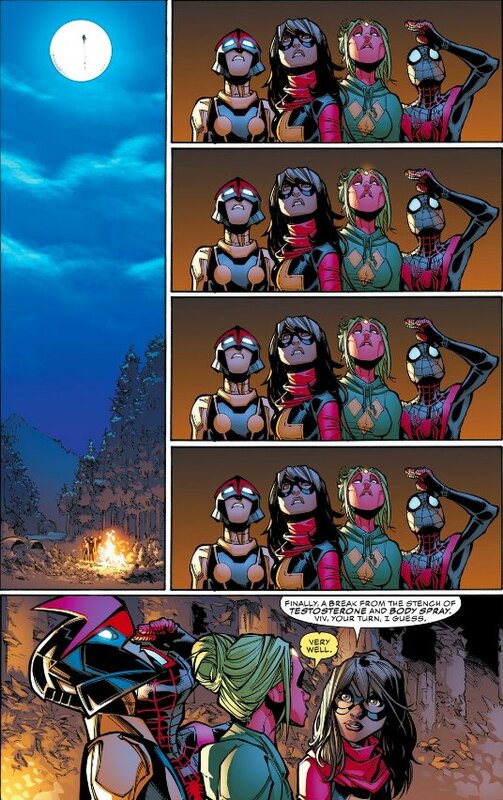 This entry was posted in Panels of Awesomeness and tagged All-New X-Men, All-New X-Men #1 (2013), All-New X-Men Vol. 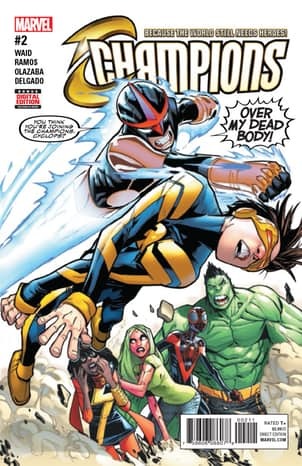 1: Yesterday's X-Men, Beast (Marvel), Brian Michael Bendis, comic art, comic book art, comic book reviews, Cory Petit, Hank McCoy, Marte Gracia, Ororo Monroe, Panels of Awesomeness, Rob Siebert, single issue reviews, Storm (Marvel), Stuart Immonen, Wade Von Grawbadger, X-Men, X-Men comics on 09/29/2018 by primaryignition.